Collagen, the most abundant protein in the human body, is found in bones, muscles, tendons and skin. But it diminishes as we age. 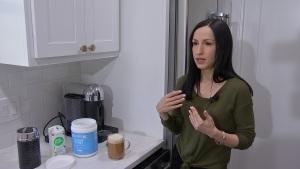 Fitness blogger Andrea Overturf has a morning ritual she swears by, collagen coffee. Overturn said it’s a great alternative to a sugary latte and she believes she’s making a difference in her health. In recent years, companies have created a variety of ways for people to consume collagen supplements — in powders, liquids, capsules and shots, and in all kinds of flavors. And now nutrition enthusiasts tout collagen supplements as a way to reduce wrinkles, improve digestion — even relieve joint pain. 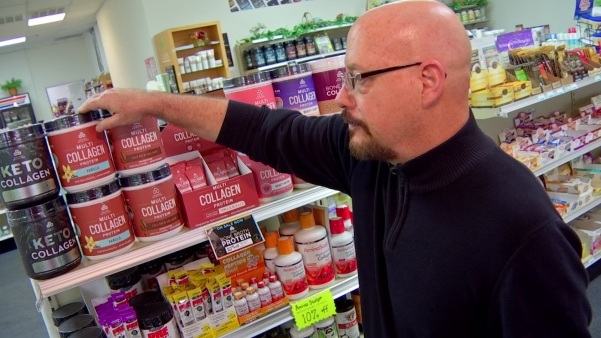 Doug Crooks, manager of the Irving nutrition store, Realife, said his customers have lots of questions about collagen supplements. He’s been taking collagen supplements himself for 10 years, and said he’s a believer. Nutrition store manager Doug Crooks credits collagen supplements with helping his knees and sciatica. As the popularity of these supplements surge, some health experts still question whether the claims are too good to be true. 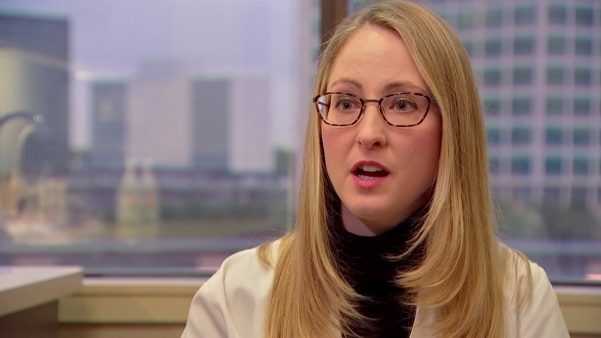 Dr. Stephanie Savory, a dermatologist with UT Southwestern, doesn’t believe collagen supplements have been studied enough. Savory doesn’t believe collagen supplements have been studied enough and she warns they aren’t tightly regulated. Registered dietitian-nutritionist Whitney Stuart, of Whitness Nutrition, recommends collagen supplements for clients who could use more protein in their diets, for example, those who prefer to eat fruit for breakfast. 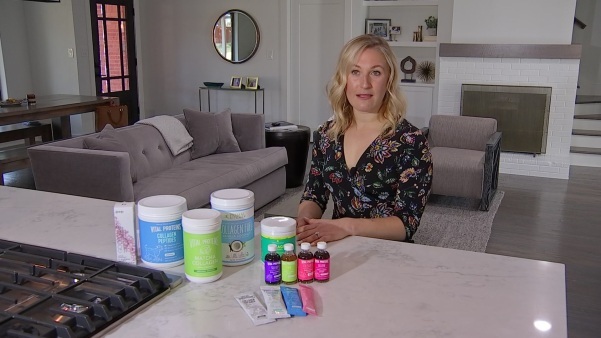 Whitney Stuart, a registered dietitian, recommends collagen supplements to her clients — up to 20 grams per day. And while collagen may not be a magic bullet, Stuart said it’s not likely to cause you harm.